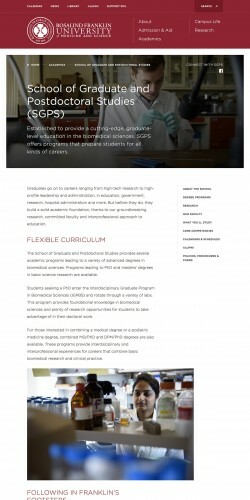 Rosalind Franklin University of Medicine and Science has been innovating in the classroom for years; cultivating doctors and researchers who are trained not just for today's world, but poised for tomorrow's evolving landscape. 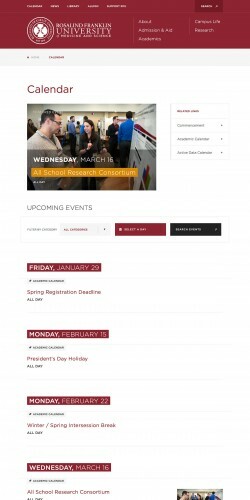 Their new online presence mirrors this innovation and fully represents the excellence of the students, faculty, and alumni at RFUMS. 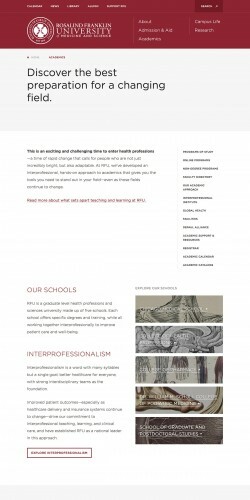 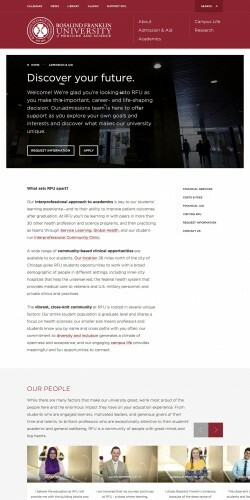 While the university is establishing itself as a leader in interprofessional healthcare and science education, the previous website lacked a cohesive direction and did not set RFUMS apart in the digital space. 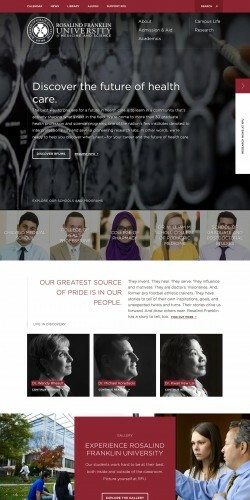 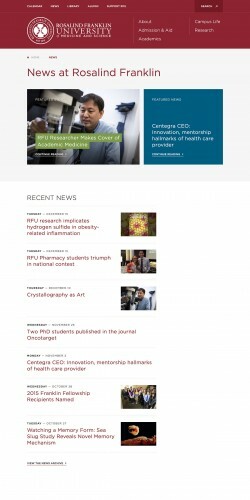 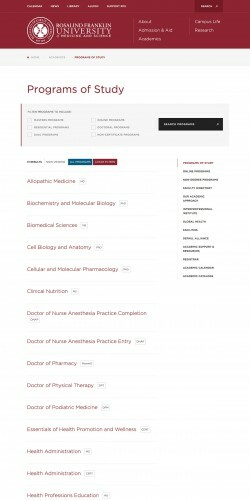 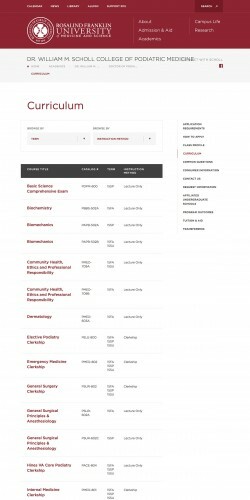 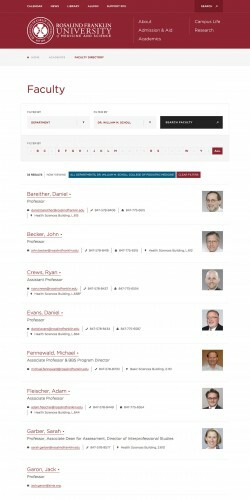 The newly launched rosalindfranklin.edu employs a much more refined design aesthetic, higher content standards, and updated technology that collectively boost the university’s public profile. 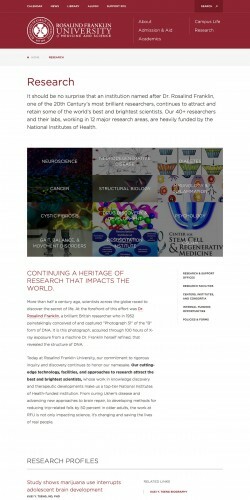 The idea that greater collaboration among the health and science professions is the future of healthcare is integral to the Rosalind Franklin experience. 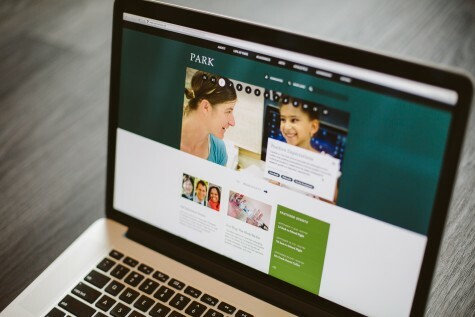 This interdisciplinary spirit inspired the content strategy and aesthetics throughout the redesign process, manifesting itself most notably in unifying the university's five schools under a cohesive brand umbrella. 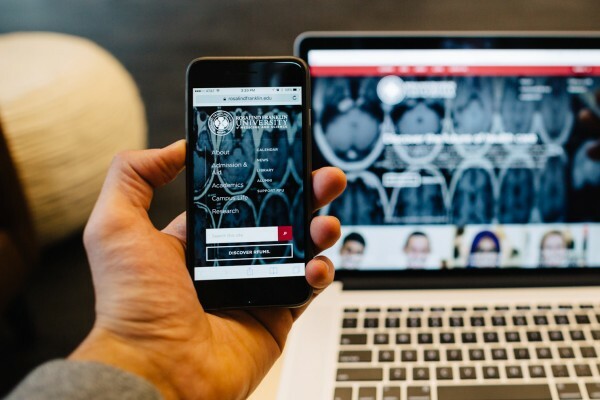 The newly created site isn’t just pretty, it gives Rosalind Franklin University the power to tell its myriad of success stories; from small triumphs to ambitious visions. 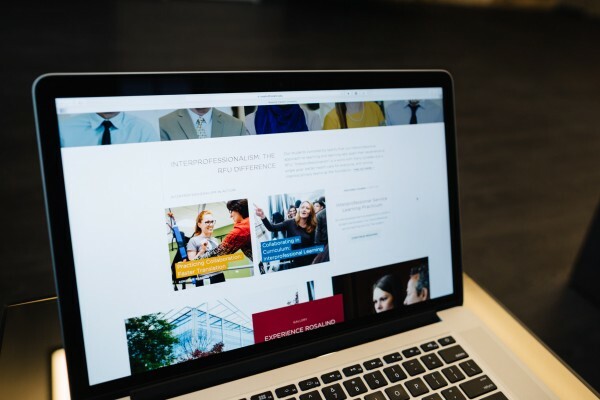 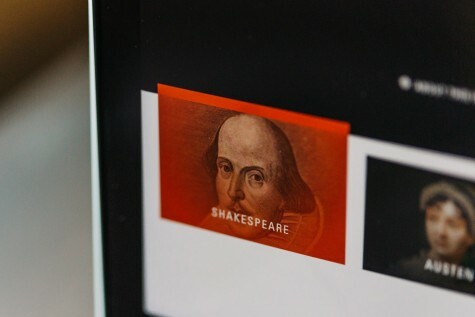 We used BigTree CMS to allow content editors the ability to create stories once and share that content anywhere it’s appropriate, across the entire site. 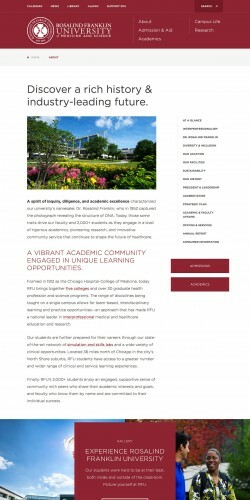 The new website also accommodates for areas of growth, such as expanding online programs, future giving campaigns, and new professional programs.